It's been a good couple of years since I went to a Clothes Show and every year since then I say I'm going to go back but when it actually comes around to it, there's always a reason why I don't. So when my old friend from school invited me to go along with her this year, I just had to say yes! She had booked tickets for on the Tuesday 10th December which was the last day, and normally the best day for getting some good offers as everything is reduced! Firstly, if no-one has ever been to a Clothes Show before, the only way I can describe it for you is just absolute shopping madness. It's very busy and you normally have to push your way through a few areas as it's so packed. I think there was at least two times when even I got a little claustrophobic with the amount of people around. Having said that, it does feel worth it when you come home with lots of bags full of goodies. Because we'd booked our tickets pretty last minute, the only time for the show they had available was at 10am, which sucked for us as we were already running a little late on the morning of the show. We got there just on time but ended up missing most of the singer at the beginning. Now the best part of the day for me is always the fashion show. It's really fun and up beat and it's more of a performance than just a catwalk show. I think the theme this year was "Country Manor Weekend Break" but also Christmas and New Years Eve. It was hard to concentrate in some parts as there was so many gorgeous half naked men walking about on stage! After the show, it was time to hit the stalls! To say it's a CLOTHES show, I brought no clothes what so ever. Not only was everything in super small sizes but a lot of them was very "market stall" a.k.a cheap looking. I didn't think the prices was all that good either and I noticed a lot of things that I could buy cheaper and better quality from even shops like Primark. This was the damage I did. The first stall we visited after the show was Models Own. I don't actually own any Models Own nail varnishes so I was really excited to see that their goodie bag was instead of picking 3 nails varnishes, because it was the last day you got to pick 5! Yay! Along with those 5 nail varnishes, you also get a Clothes Show Live special edition nail varnish too. It wasn't until I got home that I could properly look at what else was included but I also got a nail file, a pocket mirror, a lip balm, a brown eyeliner pencil, a black eyeliner pencil, a chunky black glittery eyeliner pencil, eyeshadow applicators, an eyeshadow shimmer pot and a nail art pen. The next stand we visited was the Barry M stall where for £10 you could have a pre-picked bag full of all sorts of makeup. In my pack I got 5 nail varnishes, 2 shimmer pots, 1 eyeliner pencil, 1 chunky glitter eyeliner pencil, 1 chunky eyeliner pencil, 1 mascara, 1 lip gloss and the very cute little bag it came in. I'm not sure what I'll use it for but I will find something for it. As these were pre-picked, I didn't have a choice with what colours ect I got which I wasn't that keen on but since I loved most Barry M products anyway, I thought why not! In the end, I think I did quite well as they were all colours I go would be the ones I'd probably go and buy myself. Maybe apart from the pink eyeliner. I don't think the conjunctivitis look is good. I do love So...? as it fondly reminds me of my high school days so I was quite excited when I saw they had a stall. They were selling 3 different goodies bags ranging in price from £20 to £5. I brought this just as we was leaving and they said they had reduced the £20 bag down to £10 but since we were allowed to see what was in the bag before we brought, I thought everything inside was well worth over £10 so I purchased one! In mine I got a ring binder folder, 2 perfume sets, 2 sets of body spray, 2 makeup bags, 2 dry shampoos and another perfume all on its own. Good deal I think! One stall I was excited to see was the Bare Mineral stall. I personally have never tried any of their products but I know people who have and how they swear by them. 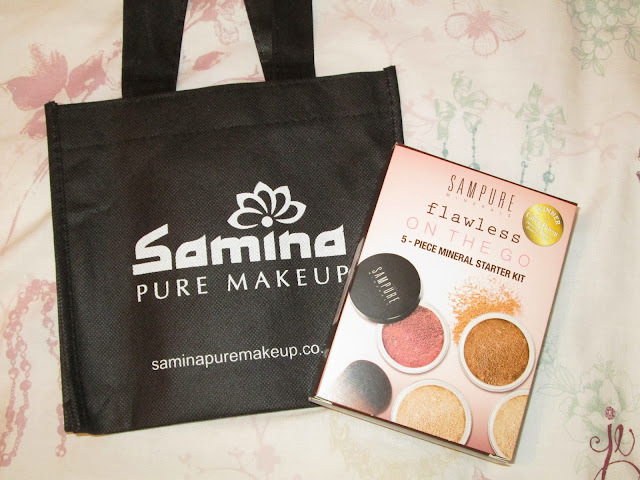 Unfortunately as I had spent most of the money I had brought with me at this point, even CSL price discounts were not enough to sway me to try Bare Minerals but instead, I did spot another very similar brand stall called Sampure Minerals. 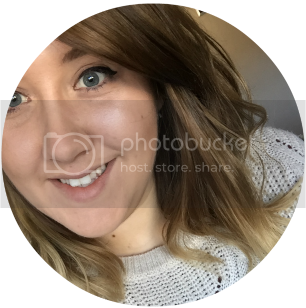 A sales assistant got me to sit down and try the foundation and I was impressed with the difference, even on top of my own makeup. She got out a 5 piece starter kit out which include a foundation, a setting powder, a blush, a bronzer and a brush and once again, because it was the last day of the show they were reduced to just £18. Even if in the end I don't like it and prefer my usual high street brands, I can just say to myself it's a less of a waste of money than the Bare Minerals £30 starter kit. Another product I was excited with purchasing was this Moisture Keratin Treatment Kit. I've heard quite a few good reviews about Keratin treatments and I've always wanted to try one out for myself. Luckily, just as we were about to leave for home, we stopped by a stand selling hair treatments and among them were the Keratin kits. The sales assistant told us about how important Keratin was for our hair and how the kits work and in the end, advised us on which package would be best for us. He said that my hair wasn't in too bad of a condition and that the moisture kit would be best for me. He was a such a lovely man and since we were buying two kits, he gave it us for £8 each instead of £10. Sorry about the mess in the background! This was a bit of an impulse buy but hey, a girl can never have too many handbags! Let us see primark birmingham on-line shop to get a broad assortment of most kind of searching items. For many ladies searching for somewhat of glitz and glam, then Birmingham's luxury Jewellery Quarter will be where to become. House to over four hundred jewellery company, buyers ' are spoilt for choice.Here I mentioned the primark birmingham opening hours,you can visit primark birmingham for better collection of clothing and much more.